Defence for Children International - Belgium (DCI-Belgium) is a non-governmental organization (NGO) created on 10 September 1991. DCI-Belgium became an official national section of the international movement at the 1992 General Assembly held in Grenada, Spain. DCI-Belgium counts on a team of 17 people (2 employees and 15 volunteers) as well as many interns. The Board of Directors is composed of 10 people with different expertise in the areas of human rights, international cooperation, etc. 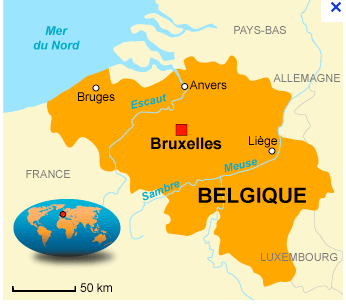 DCI-Belgium was created in Belgium in order to promote and defend children’s rights. Realisation of a practical guide entitled "Defence of Children’s Rights in Europe"
This practical guide was created after realizing that street social workers are very often direct witnesses of children’s rights violations. However, they are not always aware of these rights or even of the existing mechanisms at the national, regional and international levels in order to respond adequately when facing these violations. This guide, written in collaboration with Dynamo International, the European platform of street social workers, addresses these social workers and more generally all professionals in contact with children. It tries to overcome the lack of information presenting the different legal standards that exist at the regional and international level. The guide describes the principles underlying the United Nations Convention on the Rights of the Child (UNCRC) and explains the existing mechanisms to react to when these rights are not respected. A more practical part of this guide explains specifically how social workers can activate these mechanisms and bring the facts they have witnessed to the attention of international bodies. DCI-Belgium, in collaboration with the International Institute for the Rights of the Child (IDE - Switzerland), Dynamo International (Belgium), the University Institute Kurt Bösch (IUKB - Switzerland) and the Ministry of Family and Integration of the Grand Duchy (Luxembourg) organized a Summer University initiative on children’s rights. The initiative was conceived as a study trip entitled "The Caravan for the rights of the child". For a week, the Caravan travelled around Europe stopping in several cities (Brussels, Luxembourg, Strasbourg, Sion and Geneva) to find out the inter-State institutions of the European Union, the Council of Europe and the United Nations. Moreover, the trip was characterised by several meetings with prominent personalities in the field that work specifically on the implementation of children’s rights in Europe. Accompanied by reputable NGOs and academic specialists on children's rights, participants analyzed the existing links, which could be strengthened, between the institutions (European and UN) and grass root associations working in the domain of children’s rights. - finding out and understanding the way in which children’s rights are guaranteed and implemented by the European and international mechanisms – in order to compare theory and practice through different pedagogical approaches. DCI-Belgium has implemented projects and activities to promote and defend the rights of minors in exile. Most notably, the NGO undertook legal action, with successful results, against the Belgian State for the detention of children with migration purposes and the expulsion of foreign children without guarantees of basic conditions in their country of origin. Moreover, DCI-Belgium promoted that basic conditions and support were guaranteed for migrant children, always respecting their human dignity. DCI-Belgium also organised in 2008 an "Opinion Court" about the confinement of children in closed centres, a practice for which the Belgian State was condemned. As a result, the Government announced the end of detention of migrant children that was causing serious consequences on these children’s development. DCI-Belgium has also initiated legal action to better ensure the rights of minors “in conflict with the law”. The NGO carried out intense work on awareness-raising on this issue addressed to Belgian policy makers and general public opinion. Particularly, DCI-Belgium contested the abuse of the deprivation of liberty for children who had committed offences and promoted educational measures. The NGO also attempts to influence the different reforms of the legislation on juvenile justice in the country. DCI-Belgium participates in the dissemination and promotion of children’s rights by producing 10 pedagogical tools every year. The aim is to support all the people who wish to organise animations or training on children’s rights. These tools are intended to complement the information on the UNCRC itself, its elaboration process, the principles on which it is based, the categories of protected rights, the different guaranteed rights and the mechanisms to implement it. These tools are accompanied by fact sheets which address these issues in a fun and original way (destined for children). DCI-Belgium contributes to the work of the European Council on its strategy “Building a Europe for and with children”. Particularly, the NGO participates in the drafting of the Guidelines of the Council of Europe (CoE) on child-friendly justice. DCI-Belgium also contributes to the European Commission’s work of improving the control mechanisms for the application of children’s rights in Europe. DCI-Belgium is very often called upon to send experts to participate in the European Commission’s work and the NGO regularly offers training on juvenile justice and child-friendly justice to CoE when required. DCI-Belgium takes part in different European networks concerning children’s rights. It also establishes partnerships with other associations having similar objectives. In 2007, in partnership with the Catholic University of Louvain, DCI-Belgium created the Interdisciplinary Centre on Children’s Rights (CIDE: www.lecide.be). Since then, three other universities have joined the CIDE (ULB, FUNDP and ULG), as well as another NGO (the CODE). Three axes of activities are developed: research, action and training. In this context, the CIDE organizes an Interdisciplinary Certificate on Children’s Rights; a hundred-hours course over six months leading to the obtaining of an academic Certificate. 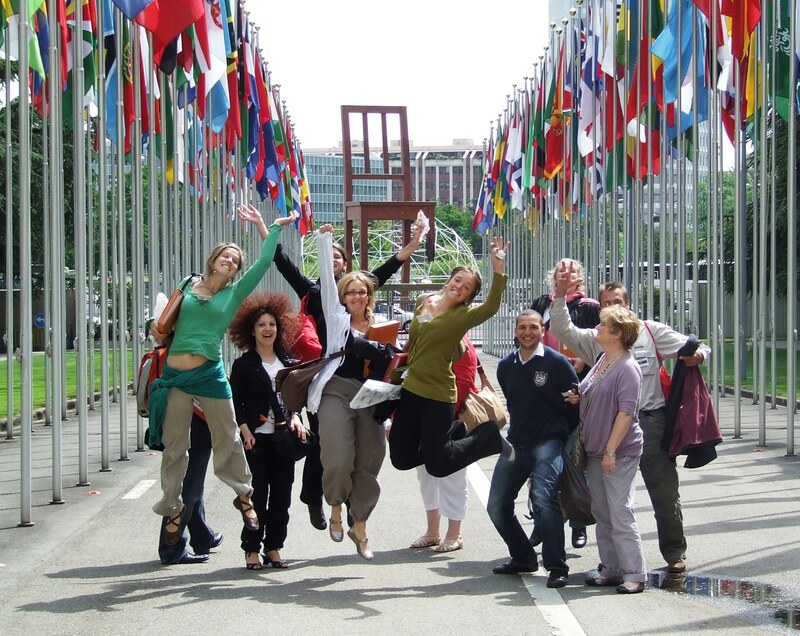 DCI-Belgium participates in the NGO Coalition for the Rights of the Child in the field of cooperation to development. It also participates in the Coalition "Child Soldiers".